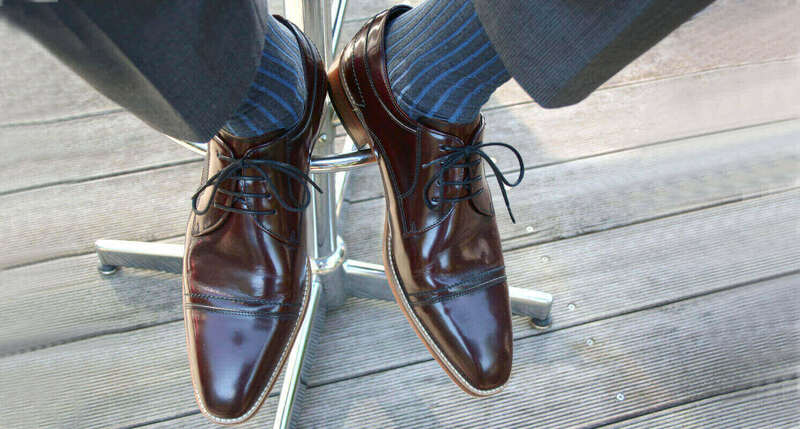 1.1These general terms and conditions apply to all orders, made by a consumer (§ 13 BGB) via the online shop of the Nataly Beck Selection, Barenkrug 42, 22159 Hamburg, Germany (hereinafter “www.shoes4gentlemen. de “). Regulations which deviate from these contract terms apply only if they have been confirmed by us in writing. 1.2 Consumers are any natural person who enters into a legal transaction for a purpose which cannot be attributed to their commercial or independent occupation. 2.1 Subject of the contract is the sale of goods. The presentation of the products in the online shop does not represent a legally binding offer, but a request to order. Errors excepted. By clicking the “Buy” button, you make a binding offer. 2.2 The confirmation of the order is made by automated e-mail immediately after the order has been sent and does not constitute a contract acceptance. We can accept your order by sending a separate order confirmation by e-mail or by delivery of the ordered goods. Please note that we can only supply if the goods are in stock. We reserve the right not to accept orders. 2.3 Your contract partner is: Nataly Beck Selection, Barenkrug 42, 22159 Hamburg, Germany. The contract language is German. The contract text is not stored by us. 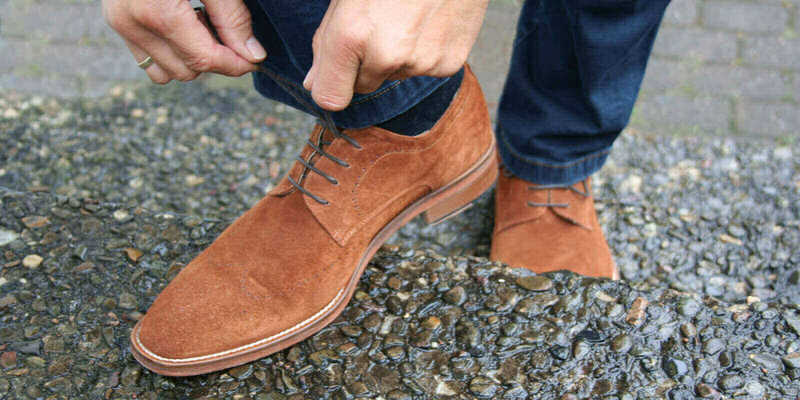 For technical reasons but also due to the leather (individual tanning) and processing (for example, manual finishing such as polishing and decoration), deviations in appearance or colour may occur in the photos of the illustrated shoes. Text and price information are not binding, for errors we assume no liability. 4.1 The delivery takes place within Germany, in the EU and worldwide. The shipment in Germany is free of charge and carried out by DHL / Deutsche Post. A pick-up of the goods is not possible. Deliveries to a DHL Pakestation (package station) is possible. 4.2 Your package will be delivered by DHL. If the DHL-messenger does not reach you, you will be contacted by DHL with further delivery options. If the delivery is not made by the specified time, DHL will return the package to us. 4.3 We process your order quickly and reliably. Within Germany you will normally receive your order in 2-4 business days after your order. We have no influence on the delivery period of the parcel delivery company so that we cannot guarantee the actual shipping period (standard delivery). 4.4 For deliveries to EU-Countries a fix charge will be invoiced and the German VAT will be used and shown on your invoice. The delivery time is generally 6-9 business days. The delivery time outside the EU varies between 8 – 14 working days. Deliveries are only made in standard shipping and cannot be effected on Sundays and public holidays. 5.1 The prices mentioned on the product pages contain the German VAT and other price components. The price is includes shipping costs within Germany. The price does not include shipping cost outside Germany. For orders, the prices valid are the prices stated at the time the order was placed. Invoices and credits are sent to you by e-mail. If you would like to receive these in printed form, please send an e-mail to: service@shoes4gentlemen.de. Credit card, PayPal, direct debit (PayPal Plus – you do not have to be registered with PayPal), invoice (Germany-wide / PayPal Plus – you do not have to be registered with PayPal) and prepayment. As part of the payment service PayPal Plus, we offer you various payment methods as PayPal services. You will be redirected to the website of the online provider PayPal. There you can specify your payment details, confirm the use of your data by PayPal and the payment instructions to PayPal. You’ll get more information during the ordering process. If you have chosen the payment method PayPal, you have to be registered there or register first and legitimize with your access data in order to pay the invoice amount. The payment transaction will be carried out automatically by PayPal immediately after confirmation of the payment order. If you have selected the method of payment direct debit, you do not have to be registered with PayPal in order to pay the invoice amount. By confirming the payment order you give PayPal a direct debit mandate. About the date of the account debit you will be informed separately by PayPal in a pre-notification. Upon submitting the direct debit mandate immediately after confirming the payment order, PayPal will ask its bank to initiate the payment transaction. The payment transaction will be processed and your account will be charged. If you have chosen the payment method credit card, you do not have to be registered with PayPal in order to pay the invoice amount. The payment transaction will be processed by your credit card company at the request of PayPal and your card will be charged immediately upon confirmation of the money order and after your legitimacy as the legitimate cardholder. After you have placed your order and chose “Prepayment” as payment method, we will send you an order confirmation with all payment details to your email address. Please transfer the invoice amount with reference to your order number. Your shoes will be sent to you immediately after receipt of payment. In case of transfers from abroad, any remittance fee has to be taken by the customer. In case of a justified complaint, we act quickly, unbureaucratically and as fast as possible, always in favour of our customers. Please contact us so we can resolve the matter as soon as possible. 7.1 In addition to the statutory right of withdrawal, we grant you a voluntary return of 30 days for all purchases in our online shop. That means, you can also return the goods after the 14 days period within 30 days after receipt (the period begins from the date on which you or a third party you specified which is not the carrier), has taken possession of the goods) will be returned to us via DHL. Timely sending is enough to keep the deadline. In the case of the right of return, the services received at both sites shall be returned. For information about returns, see “Returns”. You will only be liable for any loss in value of the goods if this loss in value is attributable to a handling which is not necessary for the purpose of checking the quality, characteristics and functioning of the goods. 7.2 For repayment, we use the same method of payment you used in the original transaction, unless otherwise agreed with you. The delivered goods remain our property until complete payment. All deliveries are made exclusively on the basis of our terms of delivery as well as our general terms and conditions (GTC). 9.1 For the goods offered in our shop, the warranty rights and / or liability for defects exist. 9.2 As a consumer, you are requested to check the goods immediately for completeness, obvious defects and transport damage and to inform us and the carrier as soon as possible. If you do not perform so it will have no effect on your statutory warranty claims. 10.1 The law of the Federal Republic of Germany is valid. The regulations of the United Nations Convention on contracts for the International Sale of Goods do not contain any provisions. 10.2 We reserve the right to change these General Terms and Conditions at any time without notice. Changes do not apply to orders made before the change. By submitting the order, the respective valid terms and conditions are accepted. Only German law applies to the contractual relationship. Should any provision of these General Terms and Conditions be invalid, the remaining provisions shall remain unaffected.